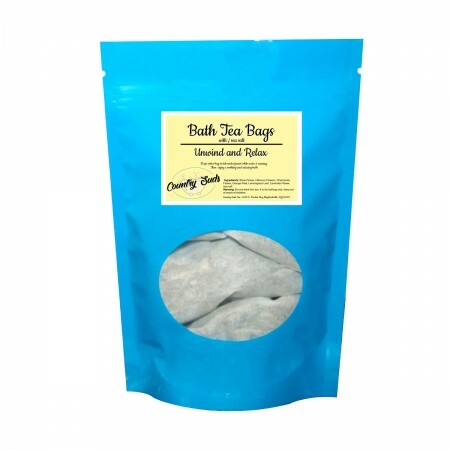 3 pack of Unwind and Relax Bath Tea Bags. Drop entire bag in tub under faucet while water is running. 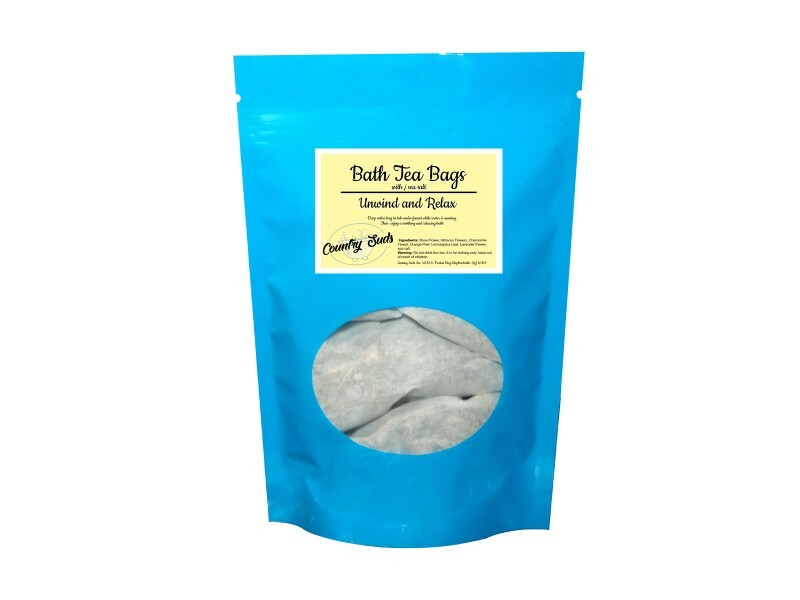 Then enjoy a soothing and relaxing bath. Ingredients: Rose Flower, Hibiscus Flowers, Chamomile Flower, Orange Peel, Lemongrass Leaf, Lavender Flower, Sea Salt. Warning: Do Not drink this tea. It is for bathing only. Keep out reach of children.